Gregory Zarian fills the role of James during the restaurant scene in S08E02. 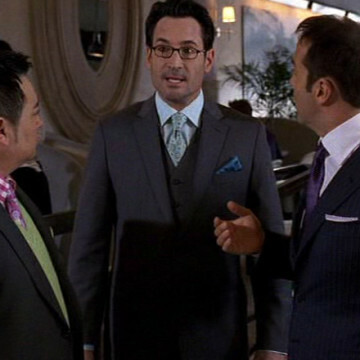 Ari asks Zarian’s character for information regarding his wife’s visits to the restaurant by which James is employed, and James directs Ari to one of the establishment’s waiters for assistance. Zarian’s many television appearances include parts in Revenge, Castle, and a 2015 episode of Bones.